Her mastery of words mixed with music is mind blowing! The plight of a selfish woman described so beautifully in the days when longing was drawn out over long stretches of time (compared to today's instant reactions to everything). She inspires me to write. I LOVE this song, so sweet, I also love the live version. 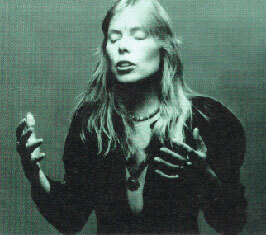 Joni's first album was really a trip for me. So many of the songs on it were totally new, in fact only three were songs she'd been playing before. This song, in particular, jumped out at me when I first played the album. It brought to mind something Joni had told me back at the Cellar. It was a small place and it was always SRO when she played. There was the usual gang of loyal college kids who were already die-hard Joni fans and then there were these guys... didn't know them, never saw them before, a whole bunch of them. 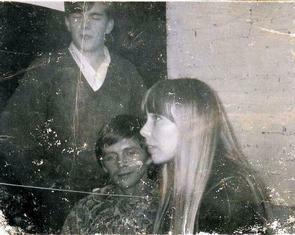 Joni told me she'd become aware of them gradually and that they were all guys who had 'dropped out', quit school or jobs and literally followed her from gig to gig, Toronto, New York, Boston, Philly, Detroit, all over the circuit, and they were always trying to get back to the dressing room to see her. It was up to me to turn them away which is why Joni explained this to me... I'm pretty sure this is at least part of where the idea for this song originated.